Lenovo S890 Android smartphone is now available in the local market with SRP priced at Php12,999. This Dual core smartphone first introduced in CES 2013 last month. Lenovo S890 is powered by Android Jellybean with 5-inch display size. It also has dual-SIM feature with dual-standby capabilities and stunning 8 megapixel camera with LED flash. 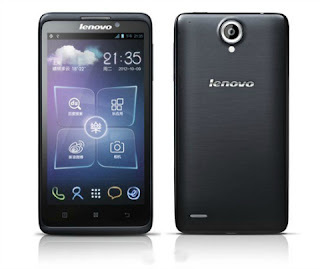 I think Lenovo S890 is one of the affordable smartphone in the market with great mobile phone specs. Note thus, Lenove S890 is available in colors white and dark blue, and comes with a free protective case, according to report by Yugatech site. For the meantime, if you like the info about Lenovo S890 Dual Core smartphone, please bookmark this page and share it to your friends on Facebook, Twitter and Google+. Comments or suggestions about "Lenovo S890 Dual Core Android smartphone at Php12,999" is important to us, you may share it by using the comment box below.